A Quater of Century she was in prison alone to fight for democarcy. 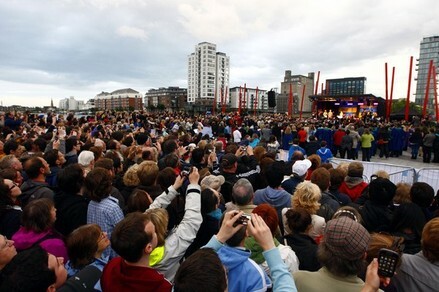 Now, she is in Dublin to thank every one for the prayers and supports. ' 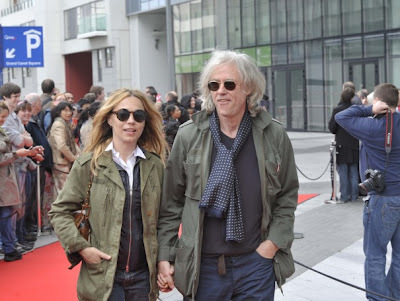 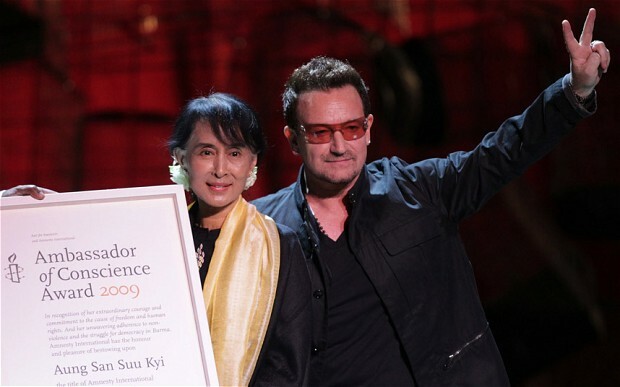 Walk On ' by U2 was sing in the concert just for her. 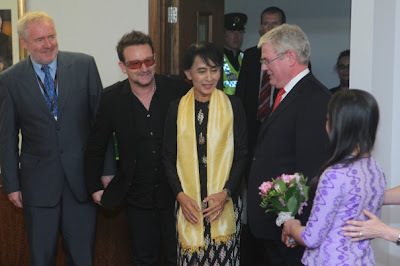 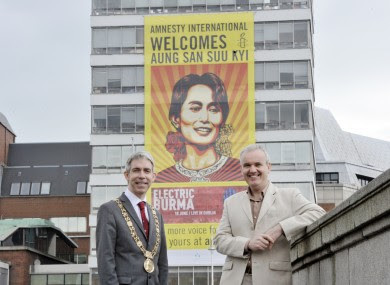 Suu Kyi flew to Dublin with Bono in his private Jet from Oslo, Norway. "This will be one of the unforgettable days of my life,"
"I've been welcomed to Ireland as though I belong to you and I thank you with all my heart." 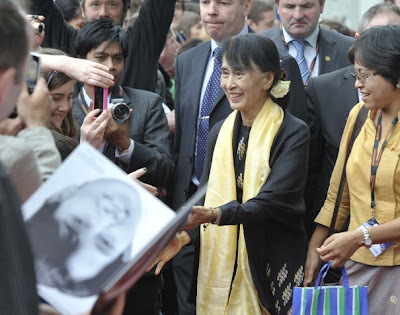 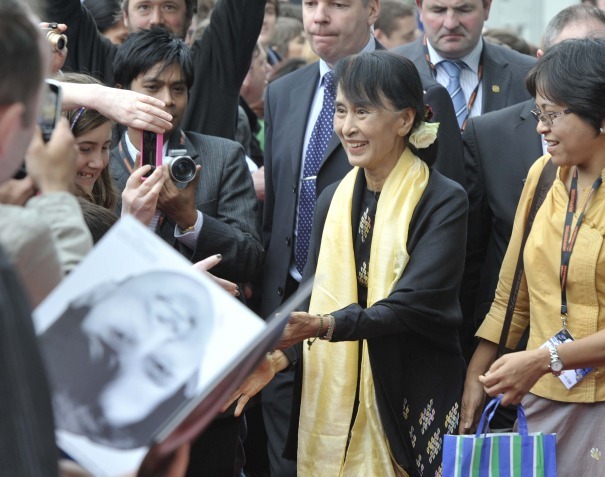 - said Ms Suu Kyi to supporters.